They split over the summer after nearly two years together. But Kourtney Kardashian, 39, received a heartfelt shout-out from her ex-boyfriend Younes Bendjima, 25, on Sunday. 'Let's not forget about this beautiful woman inside and out, I'm not the type of man that forget moments like that,' Younes said. 'You an amazing woman and mum and I hope you will find happiness for you and your childrens. 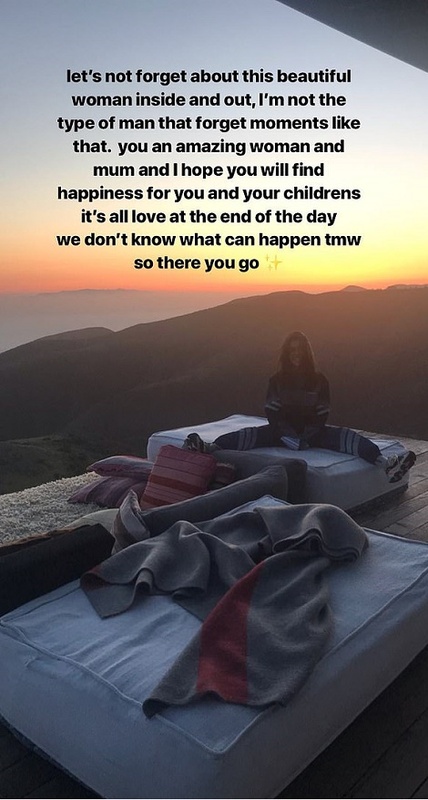 The message was posted alongside a photo of Kourtney sitting on a cushion on a mountain top. It's been four months since Kourtney and Younes ended their two-year relationship and it was key part of the snaps in the model's review of the year that he posted on his Instagram stories.